population expelled by the Soviets afterwards, is not part of the city’s official identity. Wachter, Alexandra. 2018. “Tarik Cyril Amar. The Paradox of Ukrainian Lviv: A Borderland City Between Stalinists, Nazis, and Nationalists. Ithaca, NY: Cornell University Press, 2015”. 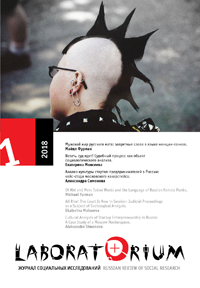 Laboratorium: Russian Review of Social Research 10 (1), 135-38. http://soclabo.org/index.php/laboratorium/article/view/756.